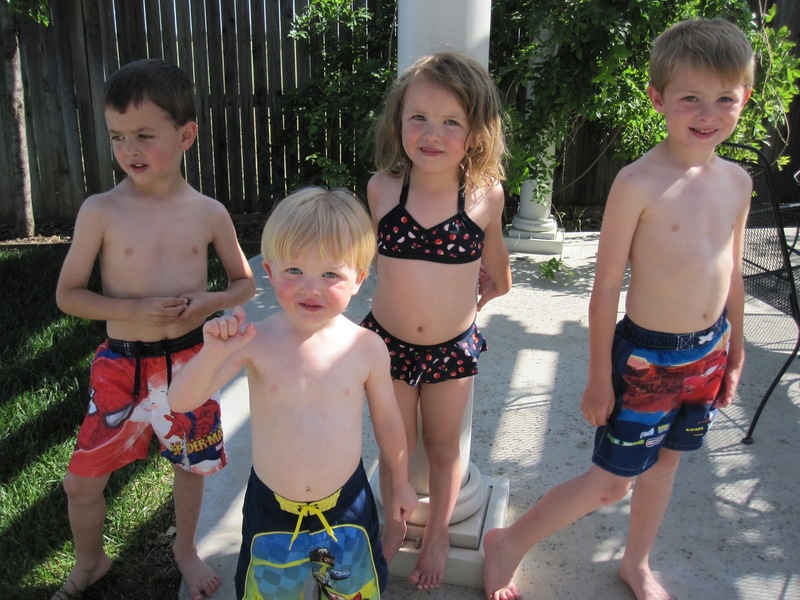 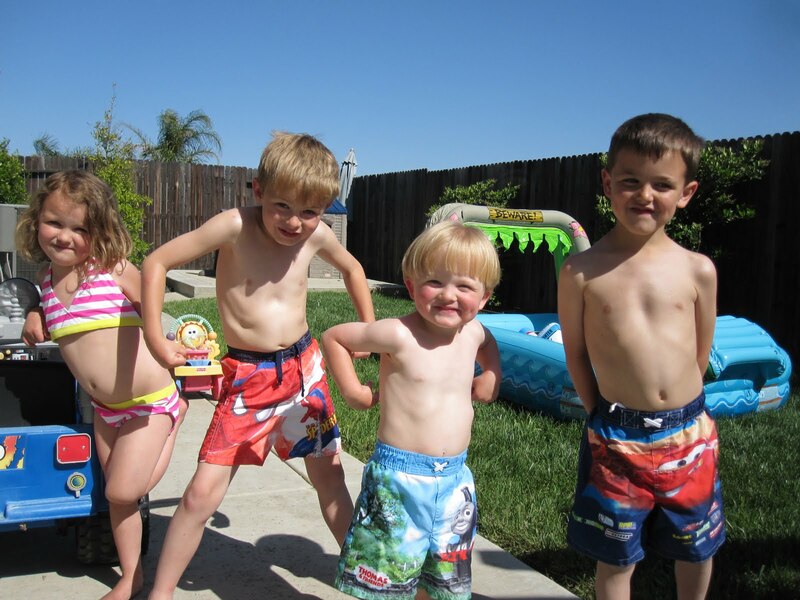 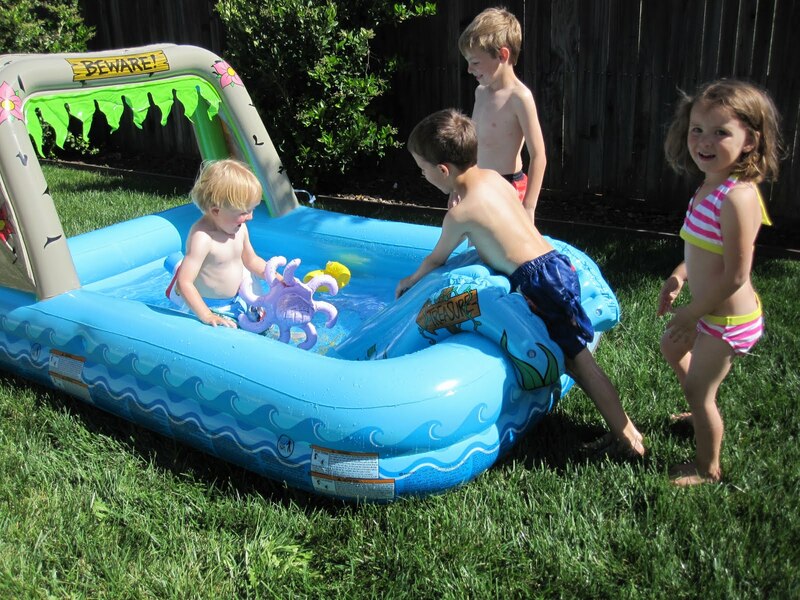 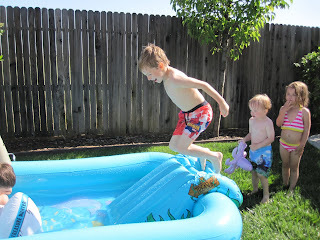 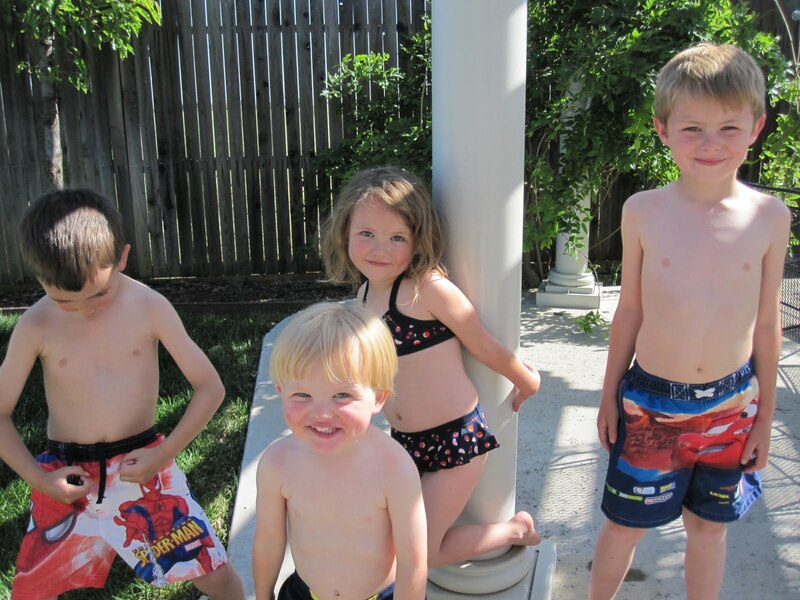 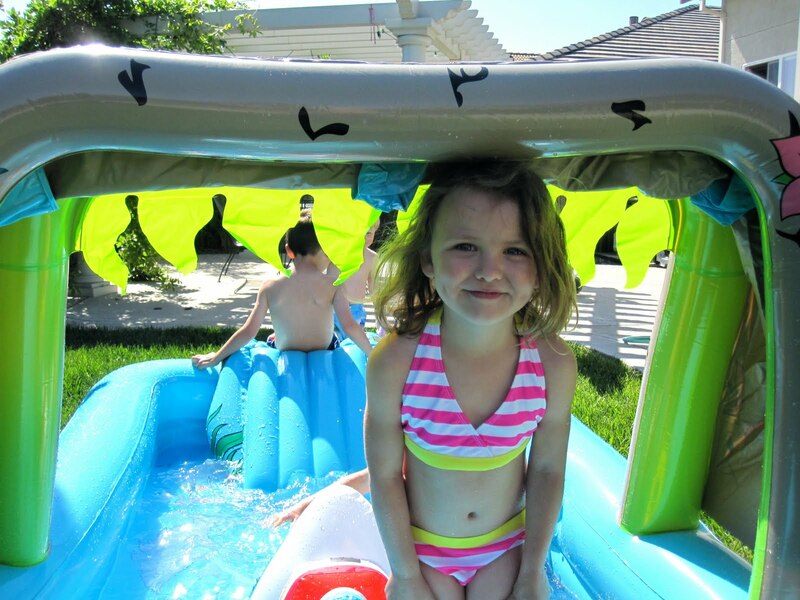 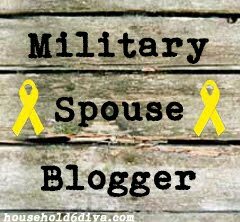 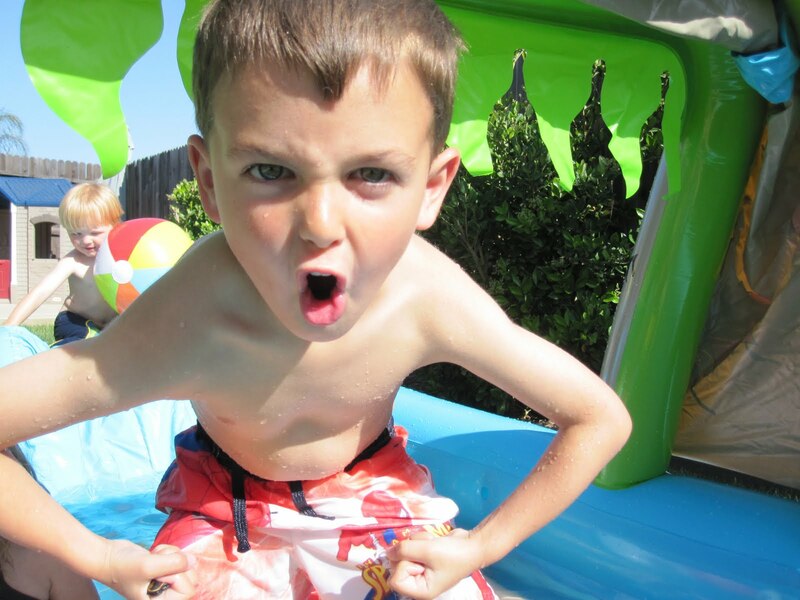 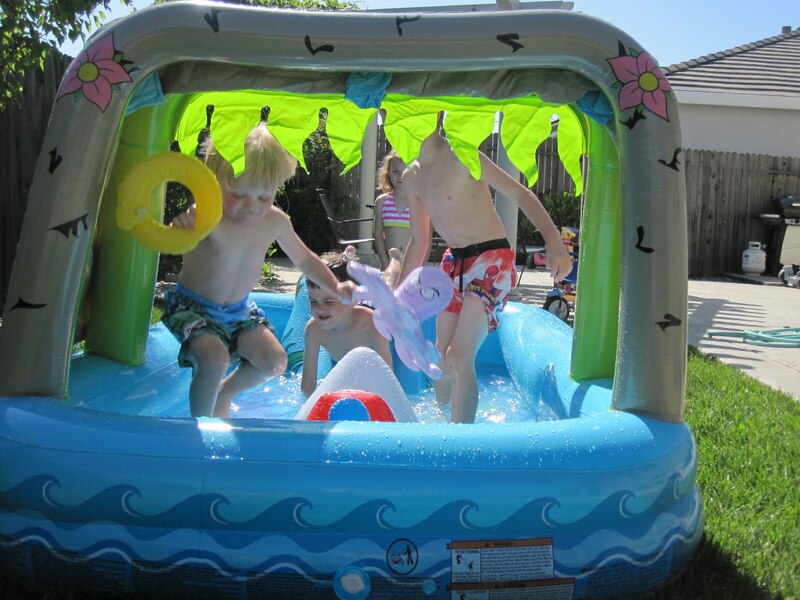 Enjoying Life With 4 Kids: It's May- That Means Time for the Pool! 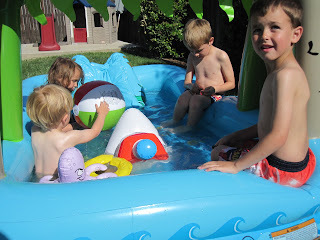 After being sick all weekend, the kids were so excited to finally set the pool up. It has been in the upper 80's this week and even 90 today. 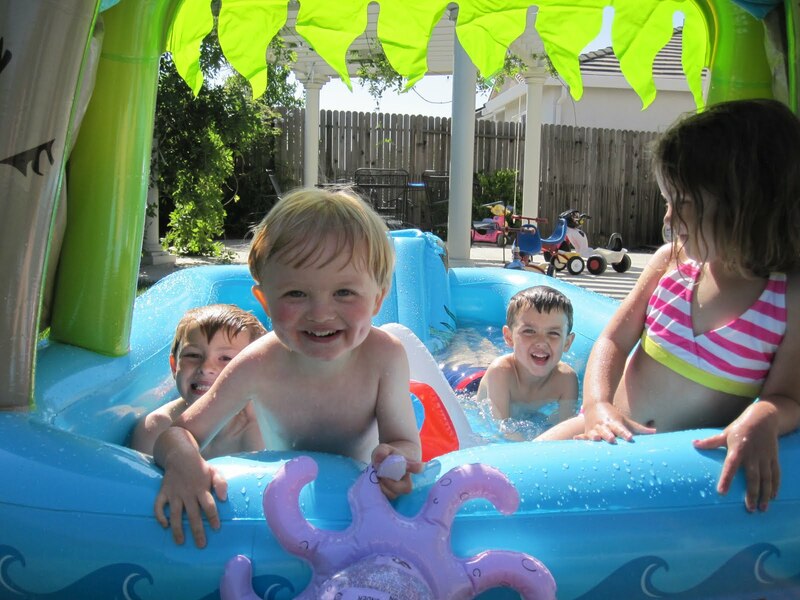 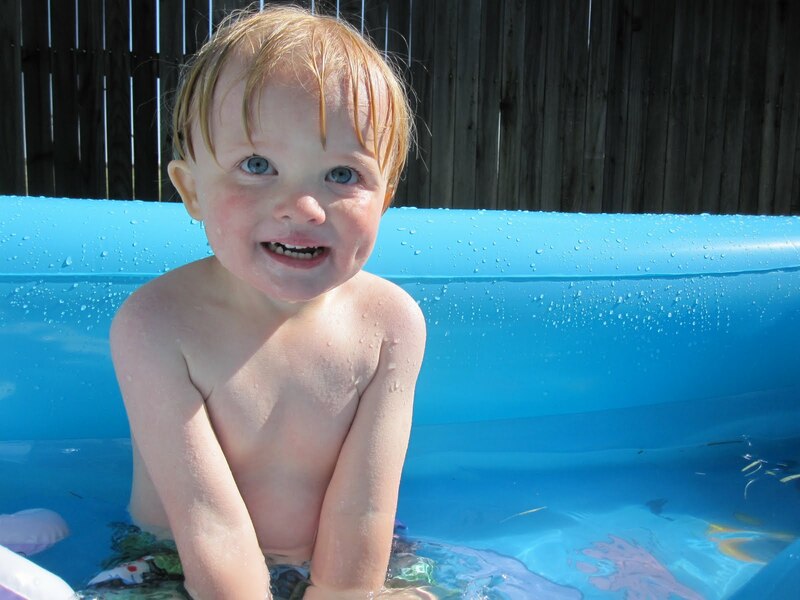 They all love playing in the pool, although they are almost getting too big to all fit in one kiddie pool. 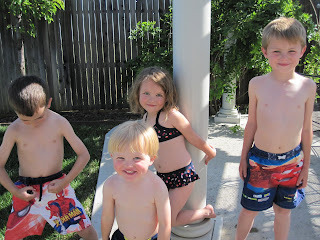 Unfortunately, swimming Day #2 didn't last as long as they wanted. Parker decided to take care of business in the pool- so gross.